The Stevens Family Horse Farm LOVE their horses! Horseslaughter happens everyday. It's cruel, unjust and unfair. Civilization was built on the backs of horses, they're considered one of the oldest domesticated animals in the world, and have been bred for thousands of years to serve humans. Not a single breed of horse was ever sired for the use of consumption, yet it's happening. Right here in the United States of America, Canada and even Mexico. It's not a rare occurance either. Your daughters 4H pony, the horse you bet on at the race track, even the wild Mustangs roaming the midwest are frequently taken to slaughterhouses. Have doubts? Visit a horse auction, you'll probably figure out who they are very quickly. The old mare nobody really wants, the lame, the retired, the sick are bought up quickly. 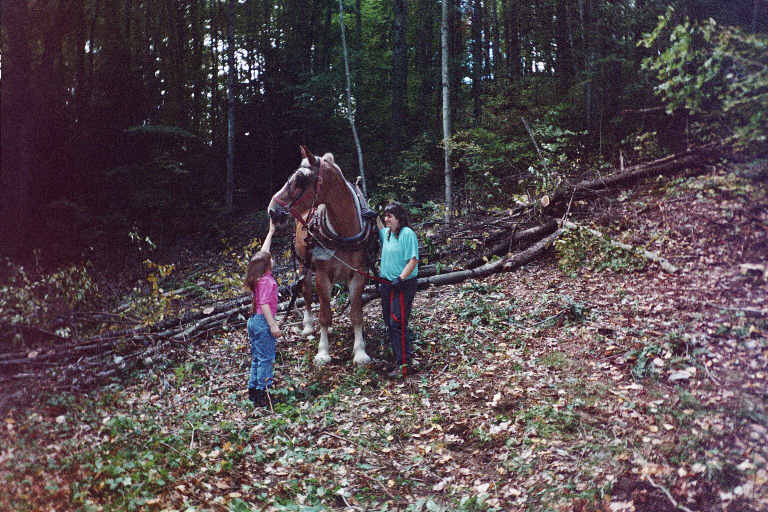 Draft horses are a particular favorite because these buyers sell by the pound. How can this be stopped? There are numerous ways to help, but probably the most effective way is to contact your senators and request a ban on horseslaughter, the transport of horses for slaughter, and the sale of horses to slaughter. California did it, the rest of the country can too.